Narrabri Shire is a rural council area located in the North West Slopes area of NSW, halfway between Brisbane and Sydney. The area produces high quality cotton, wheat, sheep and cattle and is also known for mining and gas exploration. 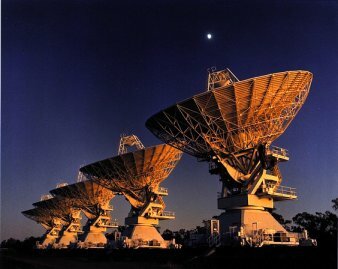 The CSIRO Australia Radio Telescope facility is found just west of Narrabri. Five giant dishes scan the outer reaches of distant space, searching for the secrets of the universe. Narrabri Lake was a transformed by local volunteers from a swamp land into an environmental showpiece and recreational playground for swimmers, canoeists and picnickers. The lake is looped by a scenic 3km walking/cycle track and the islands, located at the southern end of the lake, are a haven for local and migrating birds. Standing sentinel over the Narrabri Shire is Mt Kaputar National Park. From the 1511 metre summit there are 360-degree views encompassing one tenth of NSW. The park also features Sawn Rocks, a 40-metre high basalt formation resembling a series of giant organ pipes. The sister city relationship between Randwick and Narrabri is based on mutual understanding, friendship and cooperation for the benefit of both communities and local government in general.